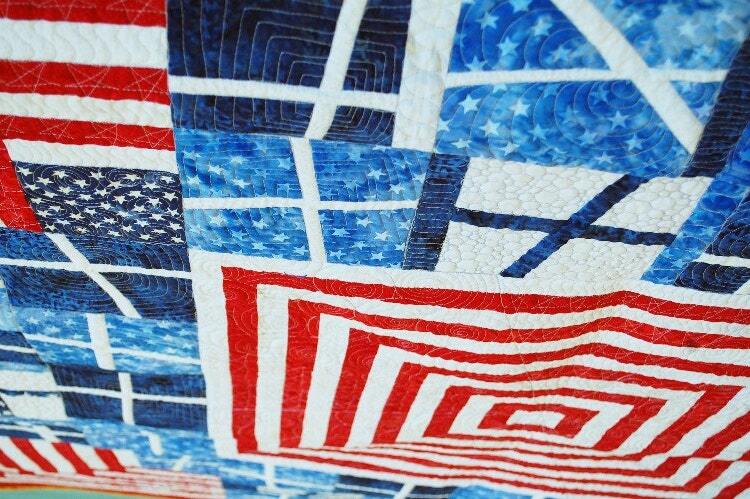 New Glory was originally created as part of Island Batiks’ Quilted in Honor Traveling Quilt show to honor and bless our US veterans. 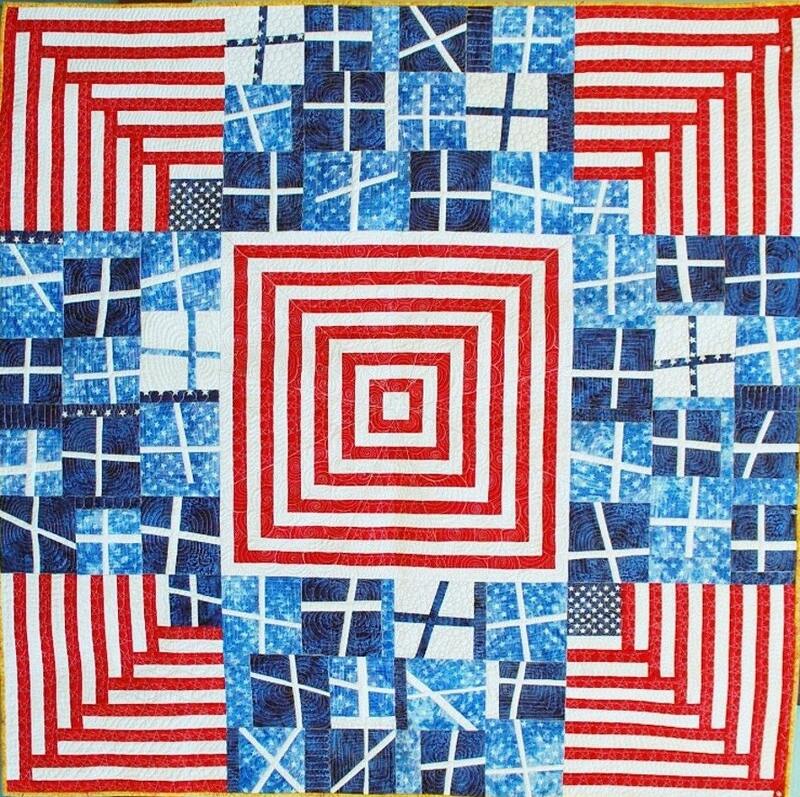 I wanted to make something that captured the spirit and energy of the US flag in a new, fresh and modern way. 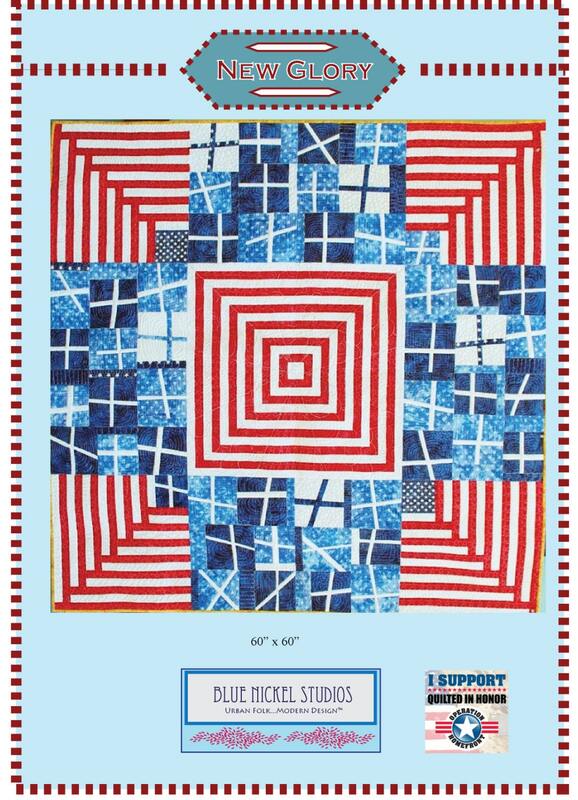 There are 50 blue and white simple crossed blocks (or “stars”) representing the 50 United States. And each striped section is composed of 13 red and white stripes to represent the original colonies. 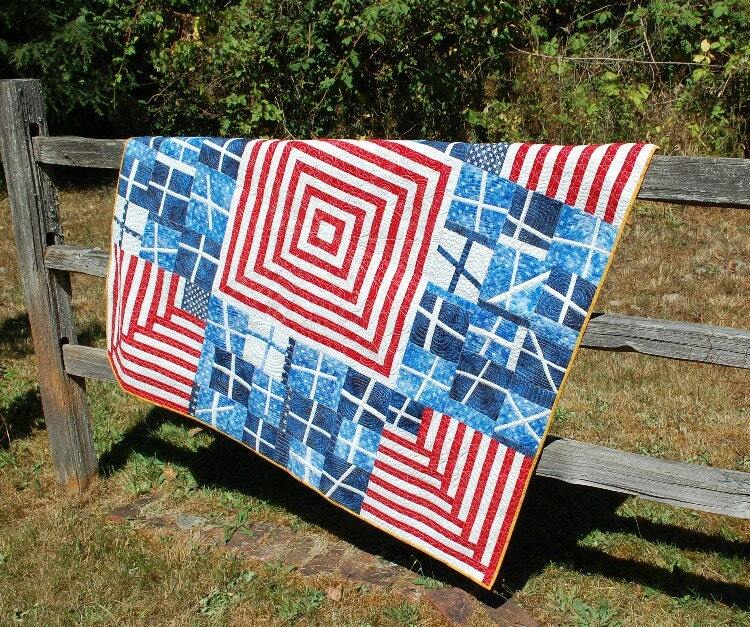 This quilt is what I imagine Betsy Ross would make if she had been a Modern Quilter! The boldness of this pattern makes it right for anyone on your list. Go all patriotic. Or make your New Glory your own. It doesn’t need to be red, white and blue to work. What about pink, green and yellow? Teal, black and cream? The choice is yours.